Spitfire Solo Strings is the initial release of a Kontakt-based library of superb solo string sounds that I envision being my new go-to instrument for intimate string playing, small string groupings and hard to find extended playing techniques. For those familiar with other Spitfire Audio products such as Spitfire Chamber Strings and their London Contemporary Orchestra Strings, the interface will look familiar. The library includes 40,950 samples and requires 85.6 GB of free space to install. As with all Spitfire products there are an abundance of help screen bubbles that appear to get you quickly up to speed on the functionality of the GUI. 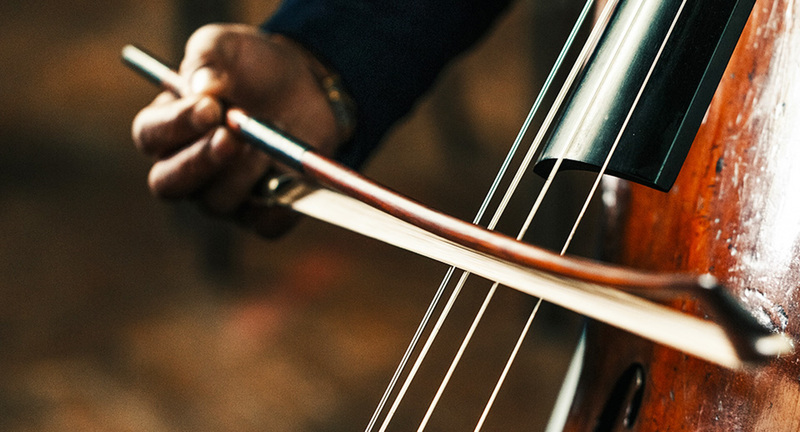 Virtuoso samples are described as a standing player “out in front of an orchestra performing in a ‘concerto’ style.” These sounds add definition and individuality when combines with a section. 1st Desk samples are where the “performer play ‘out’, leading the orchestra. Progressive samples were recorded “further away from the conductor, designed to fit into larger string sections or offer up solo passages in a more contemporary vernacular, opening the door to a modern, filmic sound of extended techniques including “Mandolin pizzicato” and “Tremolo whispers”. The typical controls you’d expect to find as with other Spitfire products are there as usual: Mic distance (far to close), Dynamics, Vibrato, Release, Tightness, Expression, and key-switchable articulations and playing techniques at the bottom. Opening the Advanced Window exposes further controls for Mic Mix, sample purge controls (always useful for reducing RAM usage), transposition, CC mapping, sync and round robin settings. The Mic Mix controls for C (close), T (Decca Tree) and A (ambient) include additional settings for stereo width and velocity response curves for tweaking. There is an Ostinatum section (as is present in many other Spitfire products) for creating key switchable rhythmic patterns and chords. The Long Progressive Vibrato sounds incredibly natural and intuitive as the intensity of the vibrato emerges over what seems to be the perfect organic duration. The Pizzicato setting is velocity sensitive and switches to a Bartok Pizz when the velocity surpasses 120. This works very well with sequenced lines and a continuous controller mapped to velocity to add textural accents. 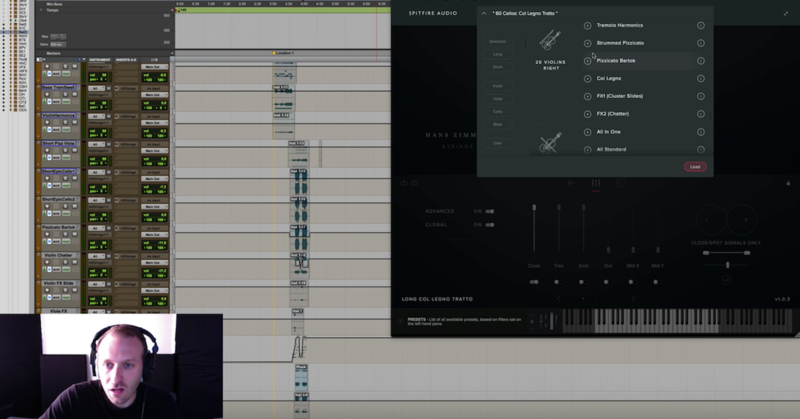 The Time Machine Setting allows for time compression or expansion and can yield interesting and usable results when modifying a sample as a line is playing in real time. All of the muted (CS – con sord.) samples sound warm and lovely. I particularly like the Short Brushed Baroque CS setting for a sort of “period” sound. The Long Flautando and Harmonics sounds are beautiful and it’s hard to imagine looking for alternatives once you hear these samples. The Col Legno Tratto (playing with the wood side of the bow, not to be confused with Col Legno Battuto, which involves striking with the Bow) is a very nice addition to the collection and an effect not often found in other libraries. NOTE: For more on string articulations and techniques, read my article on The Pro Audio Files. Some very nice product demos are available on the product page. 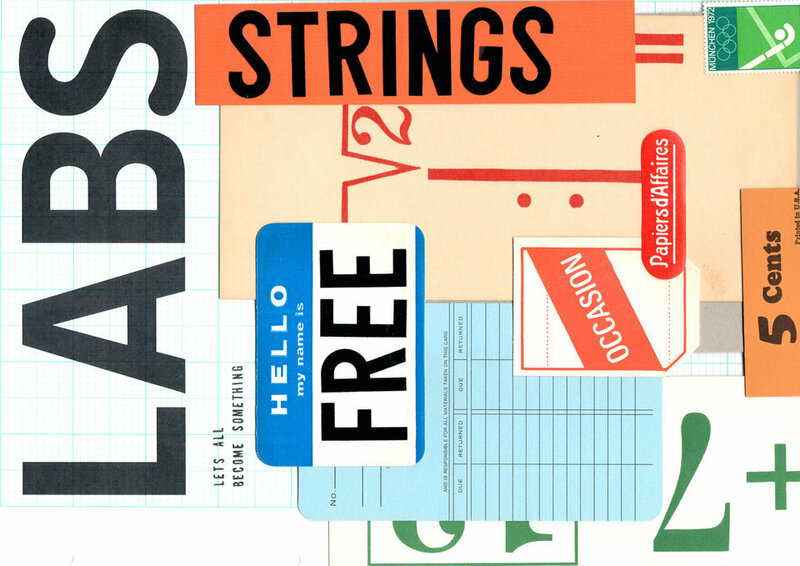 LABS, an acronym for Let’s All Become Something is billed as “an infinite series of software instruments, free and easy to use…” Spitfire has pledged to offer these instruments (one per month) for free, a commitment I sincerely hope they can stick to. What’s in it for them? Well, data I suppose. You need to sign up to download the instruments and while you’re on the site you will probably check out the other offerings by Spitfire. Having access to your email builds their target market database and the one per month idea keeps you coming back. A nice business model, that might be a touch transparent/annoying, if it were not for the fact that Spitfire really does offer some great instruments. These instruments share some commonality. They are extremely simple to use standalone instruments available in all the common plugin flavors. Of course, the downside to simplicity often translates to a lack of control/programmability, which is certainly the case here. Do not expect these things to replace a full-blown library that will have all the nuances necessary for micro-tweaking a sound or a catalog of articulation and playing technique choices. But you can get a remarkable sound right out of the box and if it happens to be the sound you were after, you’re in business. Each instrument uses the same interface which has just three main controls that vary slightly in functionality based on the context. 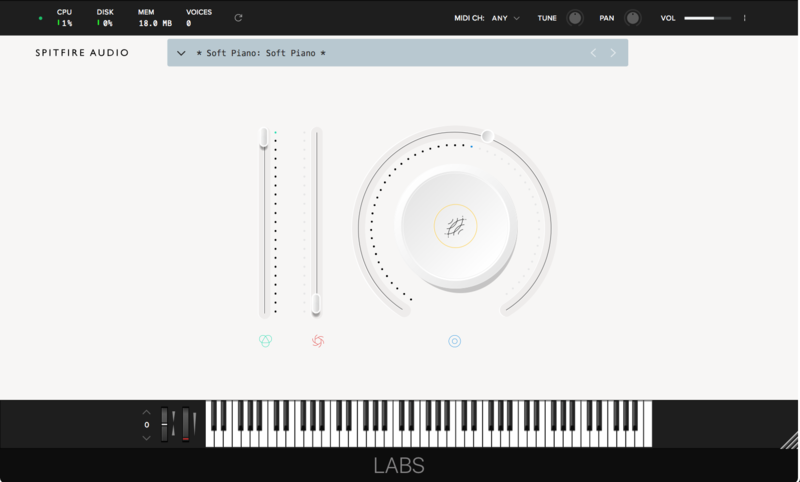 I would have to say that the concept behind LABS seems to benefit both the company and the composer, especially those just beginning to build their libraries that want to get a taste of what well-recorded samples are like, before taking the plunge with a large investment. And indeed there may instances where you’re able to get just the right sound with a LABS instrument. Sometimes you get what you pay for, and sometimes you just get lucky.